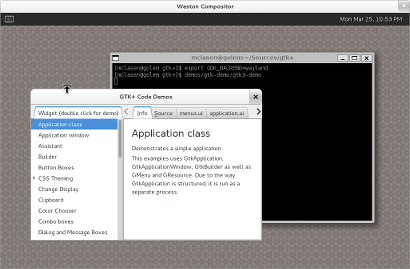 its nice to see progress with gtk+, it brings xfce on weston one step closer. keep up the good work! 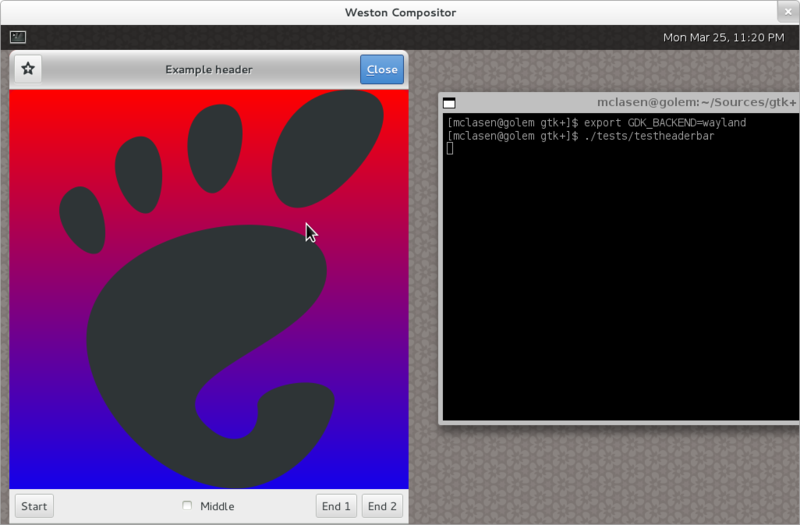 Does Wayland have a sensible concept of display size or scale, to make it easier to scale all UI elements? This is very encouraging. Despite the gaps, we know what they are and have a basic plan on how to fill them in, so I think Wayland will become a more compelling option for everyone very soon. Also, there are plenty of peripheral reasons to get excited about this- not the least of which is the possibility to run GNOME on devices with existing Android display drivers, such as tablets. 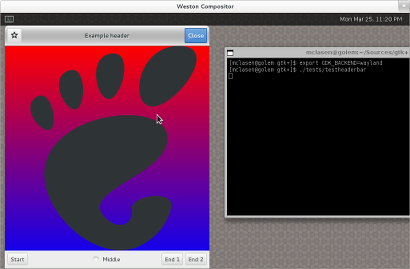 Good luck with the more tricky problems on the way to full Wayland support. 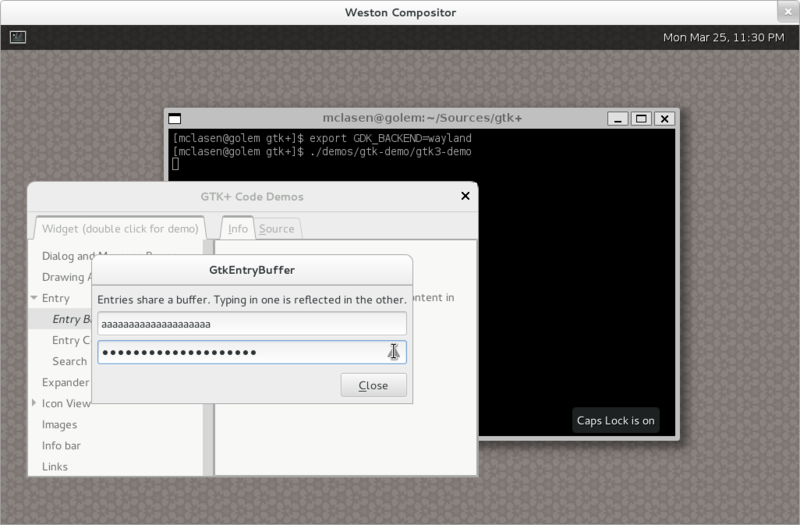 What would be the downside to using GtkSettings using GSettings directly on all platforms? It misses the point of XSettings, to share settings across desktop environments. If GTK+ apps use the GNOME settings stored in GSettings while running under KDE instead of picking up the KDE settings that are exported via XSettings, they will look and feel more foreign than they should.